Our first ever College and Career Fireside Chat will be on Thursday, April 11 at 8EST/5PST featuring Jennifer Coliflores '00. Join us remotely from anywhere to participate in this exciting chat with one of alumni! 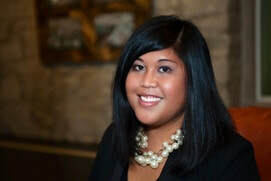 Jennifer Coliflores '00 is our current Vice President for the MYL Foundation and has been a dedicated volunteer over the years. She currently works at The Committee for Public Counsel Services in Massachusetts as a Public Defender! Directions to join the chat to be posted soon! In the meantime, submit questions ahead of time for the QA portion! Andrew Stinger is a 2000 MYL Conference alumnus, at which he represented East Longmeadow High School. A Columbia University graduate, Andrew's career has spanned tech, media and fitness. Andrew currently lives in San Francisco where he leads Instagram's Creator Tools & Ecosystem Product Marketing efforts, and teaches SoulCycle in his time out of the office. Among his proudest achievements are setting a (then) personal record in the Boston Marathon while running on behalf of MYL, and delivering the most raucous 'Lion Hunt' in MassSTAR History.